This naive American article would be impossible to write in the same way in a European country where countrywide standards of service are the norm. But it raises an important professional issue that we do have to think carefully about what end – of – life care should look like for people in more isolated rural areas, and plan it appropriately. 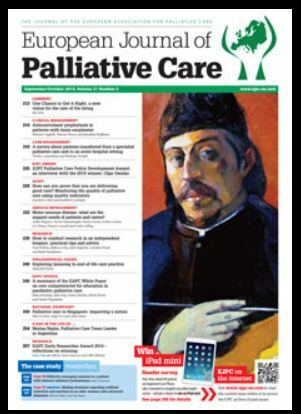 A quick post to give you a link to info on an article I wrote in the new edition of European Journal of Palliative Care. It’s on ‘meaning’ and argues that not everybody searches for meaning in their lives as they approach the end of life, and not every issue of meaning is a spiritual care one. This link is to a brief summary on the European Association of PC website, which links to the article in the journal (the brief is free but you have to have a subscription to the journal to read the full thing or go to a library). It says you can get a 10-minute subscription to download something you want, but it doesn’t say how much that costs; probably an unreasonable amount; but many people reading this will probably have access to a library that takes it. Link to my article on meaning. Lots of people in palliative care face questions from patients and relatives about whether the common practice in palliative care to withdraw artificial (tube) feeding and hydration is right. Common sense tells many people that this removes the opportunity for patients to improve or recover and in effect starves them or leaves them thirsty. There are authoritative ‘Cochrane’ reviews of research in this area, which it may be useful to refer to. Broadly they show that there is no good evidence that artificial feeding and hydration provides benefits or withdrawal of it reduces survival and there are some problems if people are artificially hydrated because they may retain too much water in their bodies. The reason is that not enough studies have been done to make a clear recommendation. The sensible course is probably not to make too much of research either way, and to encourage people to have open discussions with patients and families in which they can express their concerns fully. It’s one of those examples where research has not been done on something that really concerns people. But at least there’s no evidence that withdrawing artificial nutrition and hydration actually does leave them without sustenance. Link to Cochrane study on artificial nutrition. Link to Cochrane study on artificial hydration. Because I’m involved in international social work, I often receive publications from foreign lands, although equally often they are in foreign languages which I don’t understand, or in the English as written by people who don’t quite get it right. One editorial board I contribute to is for a journal published from Wrocław in Poland called Nursing and Public Health Quarterly (well actually Pielęgniartswo I Zdrowie Publiczne but I thought it would be unhelpful to provide a non-translated title). I originally got involved, because the School of Public Health in Wrocław is very involved in palliative care. I think these are a good set of questions to ask beginning practitioners in health and social care, to get them to think about the objectives and values inherent in their work. In fact, we could all ask ourselves these questions regularly. If you can read Polish you can go the the journal through this link; its articles are online – there are also occasional English articles. 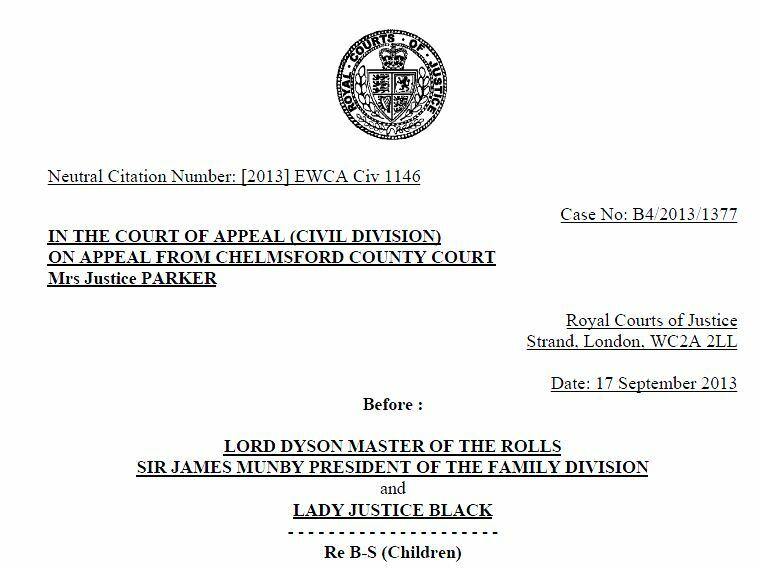 Some points in an adoption case made by the President of the Family Division of the Court of Appeal, Sir James Munby, can inform social workers about what it means to make holistic decisions, even if he’s talking about the law. He’s talking about child care services and adoption, but in the quotations that follow, I have taken out most of the references to that, so that you can see that his points have general application to all sorts of decisions by social workers (and other professionals). I’ve picked up this point from the legal commentary, and then expanded on it here. He’s saying that once you have dismissed all but one option for good reason, you still have to look at that option to see if there are good reasons for rejecting that option too. If so, it may mean that you have to reinstate a less than desirable option you rejected earlier, because it’s not so undesirable as what you are thinking you should impose on a client. And, in particular, you must not accept the rejection of an option because it’s inconvenient or expensive for the service, or difficult for the social worker; otherwise people can take judicial review and judges will (or, Sir James is saying, should) be asking you some cogent questions about your reasoning. If it’s too difficult for the social worker, get yourself a new social worker. Good practice ethics requires us (including our supervisors and managers) to think ‘am I good enough to do this or should I get someone who’s better than me?’ All social workers are not interchangeable. We can all think of situations in which this happens: it’s not practical to make sure that someone is OK at home, so we end up by thinking she should be kept in hospital or care home, because she won’t be safe all the time on her own. But we forget, in making that choice, that the option we’ve ended up with may be safe, but it may not offer her the freedom or flexibility in her life that anyone would prefer. But because we ruled out all the other options, we don’t look at the downside of loss of freedom against the downsides of the other options. 2 …the appeal not merely requires us to determine an important question of law…; it also raises some very significant matters of more wide-reaching importance. 28 …the court’s assessment …must take into account the assistance and support which the authorities would offer. So “before making an…order … the court must be satisfied that there is no practical way of the authorities (or others) providing the requisite assistance and support.” …The local authorities must deliver the services that are needed and must secure that other agencies, including the health service, also play their part, and the parents must co-operate fully.” That was said in the context of supervision orders but the point is of wider application. 29. It is the obligation of the local authority to make the order which the court has determined is proportionate work. The local authority cannot press for a more drastic form of order, …because it is unable or unwilling to support a less interventionist form of order. Judges must be alert to the point and must be rigorous in exploring and probing local authority thinking in cases where there is any reason to suspect that resource issues may be affecting the local authority’s thinking. 32. It is time to draw the threads together and to spell out what good practice, the 2002 Act and the [Human Rights] Convention all demand. 34. First, there must be proper evidence… The evidence must address all the options which are realistically possible and must contain an analysis of the arguments for and against each option. 41. The second thing that is essential, and again we emphasise that word, is an adequately reasoned judgment by the judge. “a process which acknowledges that long-term public care, and in particular adoption contrary to the will of a parent, is ‘the most draconian option’, yet does not engage with the very detail of that option which renders it ‘draconian’ cannot be a full or effective process of evaluation. So, in making decisions and writing reports and records of the decision, it’s important to think through and spell out all the arguments for and against options, particularly if they involve imposing solutions on an unwilling client or family. Because what the judges are saying in relation to child care can equally well be said about adult care cases as well. Renal medicine often presents problems for palliative care because people with serious or end-stage renal problems are often on a treadmill of regular and frequent dialysis and sometimes waiting for a transplant. Because of this it can be very hard for their medical teams to identify when they have reached the point when they should be seen as dying, and their service should take on a more palliative tinge. They often are – and feel – very ill a lot of the time, but may not experience the fear or ‘death sentence’ that people associate with cancer. At least, people used to associate the death sentence with cancer. Increasingly, though, people with cancer are treated successfully, go into remission and survive for many years and so the same issue sometimes applies: when do I decide that enough is enough (and how do I get my doctors to accept this)? An interesting article compares survival of people with end stage renal failure who go on receiving dialysis, and those who are treated conservatively, with symptoms being managed and advice about managing their lives. At age 70, those on dialysis live longer, but may spend more time in hospital. At 80, they do not survive longer. And in both cases, those not using the hi-tech dialysis often lead very satisfactory lives. This study speaks to a lot of things. First, they included a social worker in the team to support the conservatively treated patients. this is sensible: if healthcare services are going to focus on living a good life successfully, then people’s social relationships and arrangements for their lives are going to become more important. Second, it raises some questions about assisted dying. Perhaps we should be looking at assisted living for people at the end stage of major illnesses, rather than arguing that they might be helped to die, or treating them aggressively and then despairing when this does not provide a very god lifestyle. Conservative treatments for major illnesses are not assisted dying, but they are providing the kind of assisted living that people feel is valuable. Third, there is often far more choice about how you are treated if you have a major illness than the stark choice of suffering aggressive treatment or dying.